When I started running in 2012 I wanted to challenge myself to attempt something I hated doing. I wanted to push myself, set a better example for my daughter and I wanted to run at Disney parks. One month after my first 5K I was in love with running. I began running everywhere and collecting more race medals and ribbons than I expected. It wasn't until I'd run about 10 races that I realized the medals were pretty sweet, and probably deserved something better than towel hook on which on I kept them. However, I suffer from an extreme case of humility so I was not going to go through the trouble of figuring out how to display them. On the hand towel hook they remained with a variety of other items. After a year, my daughter decided I deserved better. 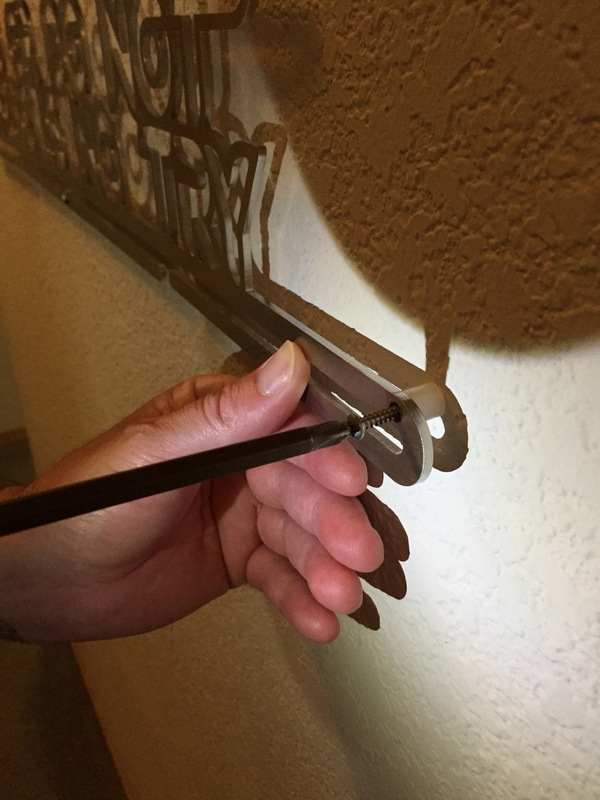 She researched Medal Hangers on the internet and found a site where she could customize a hanger a for me. On Christmas 2013 she gave me this beautiful custom Medal Hanger as a gift, and I was able to fit 2 years worth of medals and ribbons on it. 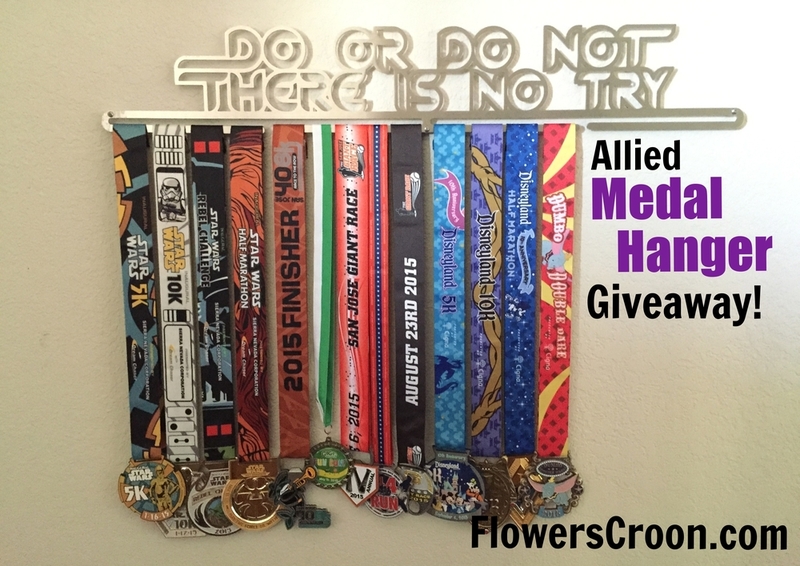 Little did I know that this came from Allied Medal Hangers, the company that just offered me a new Medal Hanger to review and giveaway here at Flowers Croon! Small world, right? Allied Medal Hangers is a small business located in Redmond, Washington. All of their products are manufactured in their steel fabrication facility which has been in operation since the early 1980s. They started their Medal Hanger line about 6 years ago and absolutely love being part of the running community. My daughter realized the Medal Hanger I was about to review came from Allied Medal Hangers as soon as she saw the packaging. They do an incredible job of packing and shipping the Medal Hangers so that they are not bent or damaged in any way. Custom - make your own! Ordering the Medal Hanger is simple. You simply chose the style you want, the size (width) and the amount of rows you'd like, then add to your cart. 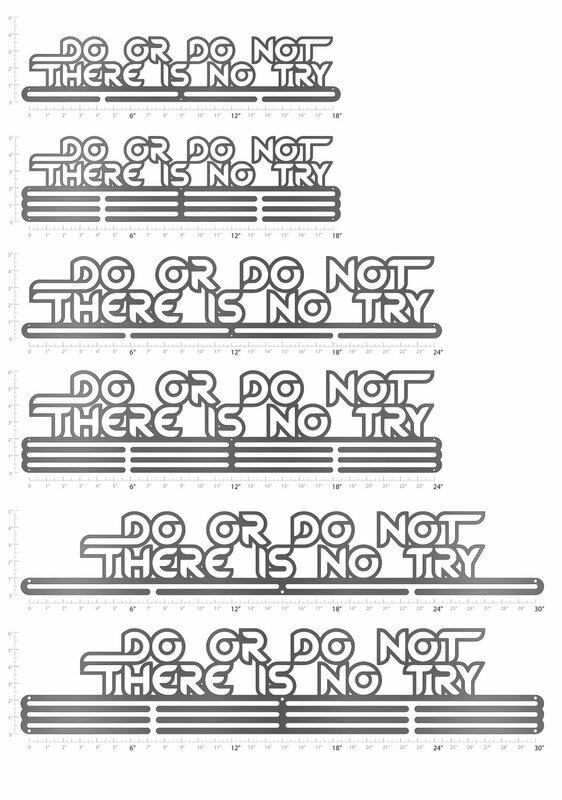 I chose the "Do Or Do Not There is No Try" Medal Hanger in the 30" width with only one row. I could not wait to add my Star Wars medals to this one! 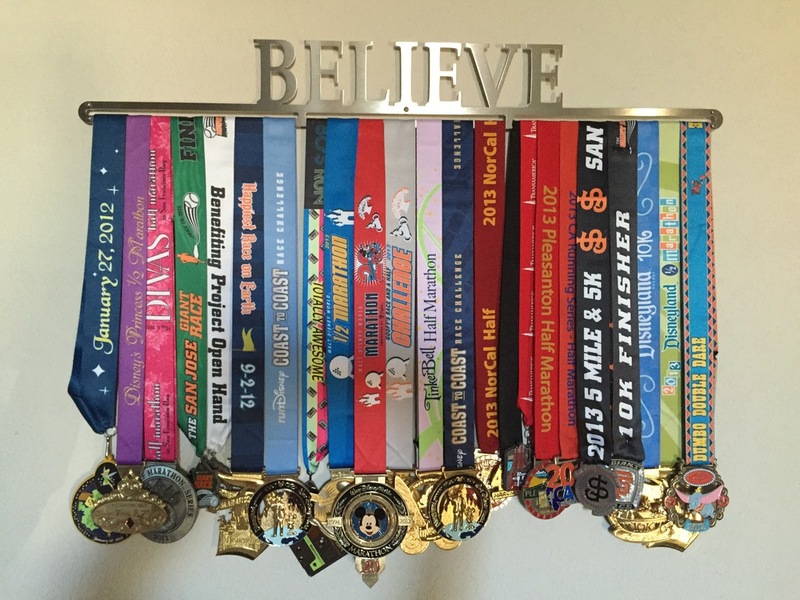 As soon as I returned from the Disneyland Half Marathon, I had my love grab the drill and mount my new Medal Hanger. Everything you need to mount the Medal Hanger comes attached in a little bag. It took us less than 5 minutes to mount this once we decided where we wanted it. I immediately got to work loading up the Medal Hanger with my 2015 medals, beginning with the Star Wars 5K, Star Wars 10K, Star Wars Half Marathon and Rebel Challenge medals. I was able to space them out perfectly and still leave enough room for the medals coming the remainder of the year. Leave a blog post comment in the comments section telling me where you currently hang your medals. Be sure to still enter the giveaway via Rafflecopter below along with entering a comment on the blog. Good luck and be sure visit Allied Medal Hangers on their website and on facebook. Disclosure: A Medal Hanger was provided to me in exchange for a review and a giveaway opportunity for one lucky Flowers Croon reader. All opinions are my own. One store credit in the amount of $75 towards the purchase of an Allied Medal Hanger will be awarded. Winner will be notified via email at the time of winning prize. Winner has 24 hours to reply before the next winner is chosen. Prize will be awarded by Allied Medal Hanger.